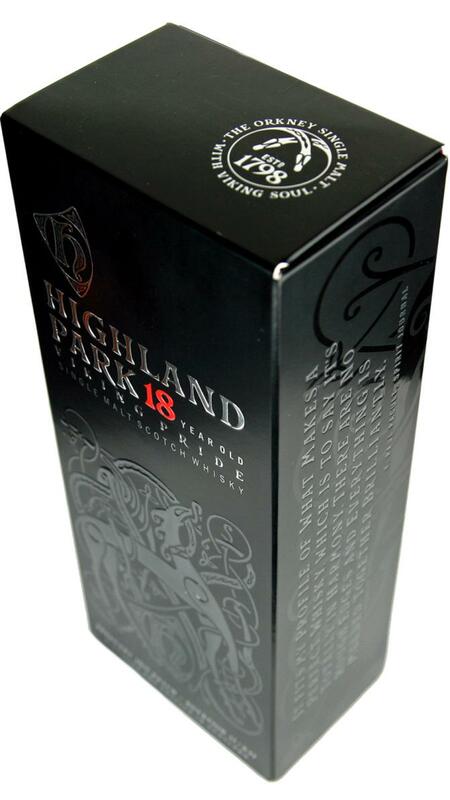 I've loved the HP 18yo since I've become a malthead and bought it as my 2nd or 3rd full bottle in a little shop in my village around 2002. I've always loved the intermingling of sherry, peat and really well integrated age that makes this dram so complex and sophisticated. 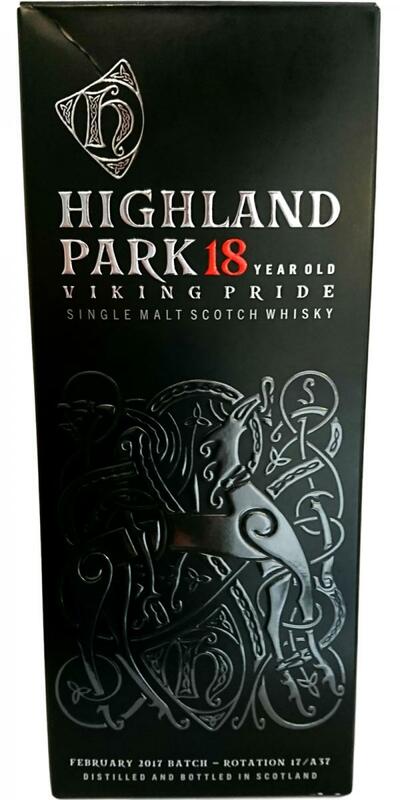 The "Viking Pride" theme may be a bit of a weird marketing stunt that is absolutely unnecessary when you have a product of such high quality. I guess this marketing stuff makes this whisky surmount the 100 quid mark - which from a connoisseurs' pov is also unnecessary. In spite of that I'd still buy a bottle. Rich complex barley, wild honey, white nougat, burning heather, herbs (bay leaf, lavender and thyme) and a wonderful aroma of roasted coffee. Really quite a complex and beautiful composition, there are good casks involved. No water needed. 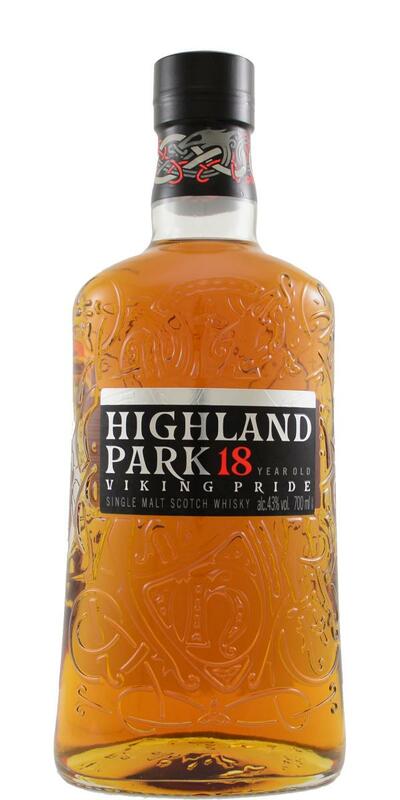 This noses older than 18 years and unlike any other single malt. Cool and oily mouthfeel, getting richer, with a bit of bite just attacking the tongue after a few seconds. 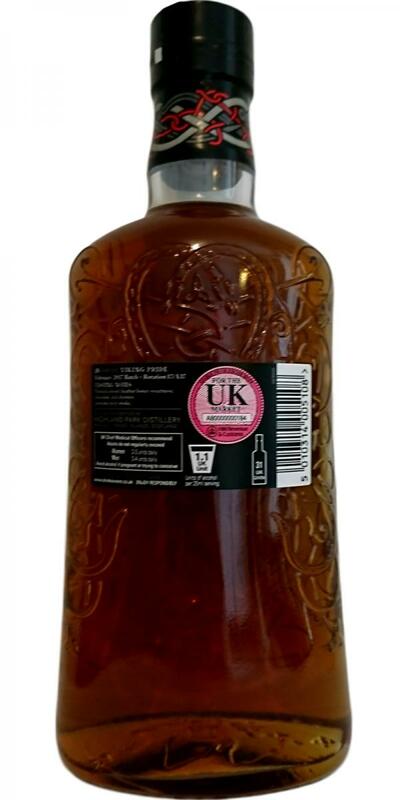 Very rounded, but never generic.It's a beautifully aged, dry and rich malt, with notes of stout ale, burnt raspberries infused with caramel, mint tea, something savoury like herbal butter spread on some nicely grilled beef, heather honey and soft, leathery, earthy peat whispering in the background and giving this whisky structure and complexity. 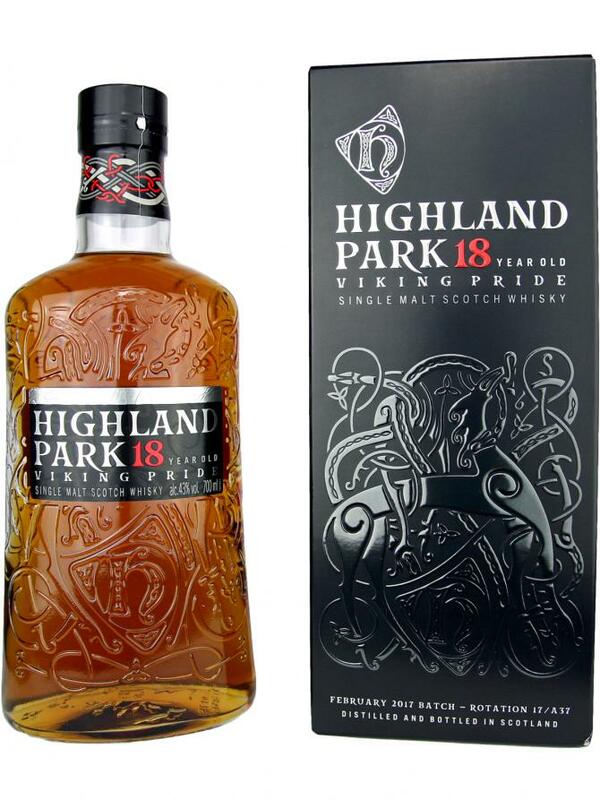 You can really feel the beautiful marriage of good quality sherry and bourbon casks and showing off a textbook Highland Park distillery character. Long, on soft dry peat, sea salt and honey. Just very, very good. Forgive me I do not know what batch or year this is from. Some rubber and gun smoke. Dried berries. Camphor. Cola and peat. Seems like some sulphur in there. It’s not very clean and rather flat. I remember it being better, but maybe it’s just me. 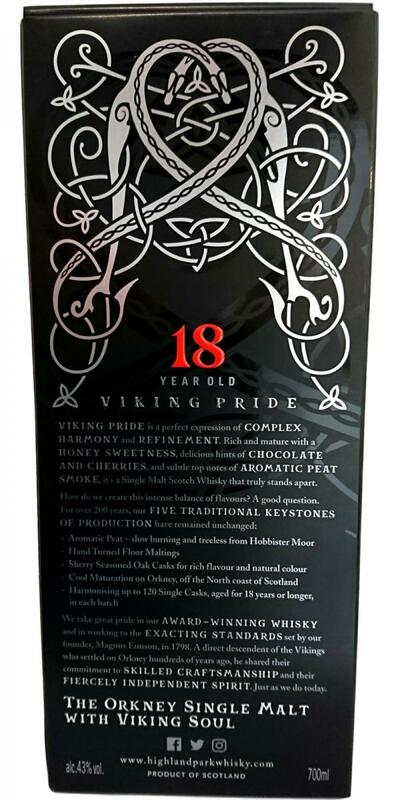 Superb whisky, together with the Bunna 18 the most balanced 18y OB. I remember liking this more years ago, but ain't that the way of memory? Delightful, rich, sweet, smoky, ensorcelling. Dried fruits, hint of sherry(? ), very refined and gentle peat. Highland Park cake. Suspicion sets in when a core-range classic gets a re-branding. Branding costs, and it’s often at the expense of us and the whisky. Let’s see. N: Some lovely sherry casks are evidently in use, complimented by a touch of peat and liquorice Fairy Fancies. With an oaky dryness, there’s a welcoming softness overall. T: I’d prefer this at 46% but 43% is just about ok. Fairly well rounded in the middle stages. F: Clean balanced finish with that profile lingering, mainly now on dried fruits & raisins into a light peaty < dryness. C: It seems the price has remained just under £100, for now. Quality-wise, I’d get a bottle in sooner than later if you’re tempted.